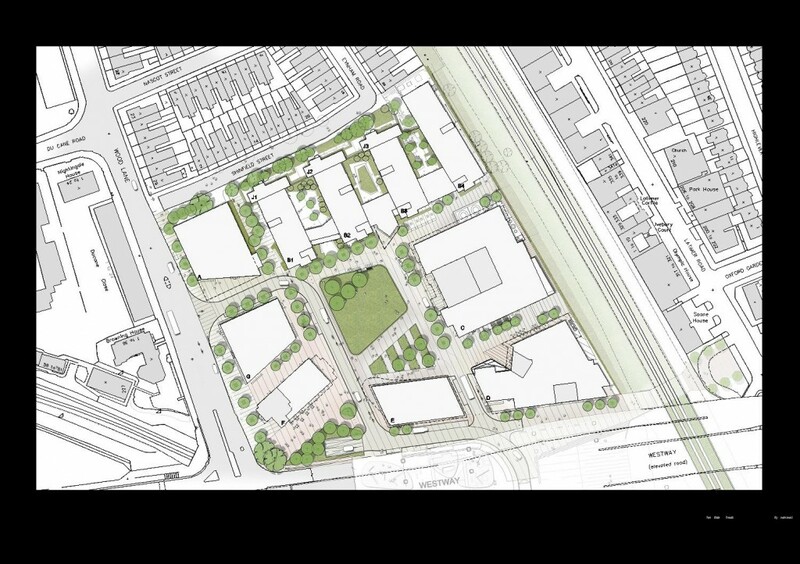 The masterplan below forms part of the planning application to Hammersmith & Fulham Council. The four linked blocks at the top of the plan are the postgraduate housing, currently under construction. The proposed 35 storey tower is in the bottom left hand corner of the site. The initial masterplan included proposals for a shallow underpass beneath the railway line, from the south-eastern corner of the site through to Latimer Road (emerging near Oxford Gardens). This does not form part of the December 2011 application, Imperial state that they do not own all the necessary land. So it remains uncertain whether this underpass will be built at some future date. This area is so crowded already I don’t understand how they can give the green light to a project of such monstrous scale. The existing commercial units are derelict because landowners only rent short term.